Looking for a great DIY shaving cream recipe? Then you’ve come to the right place! Sensitive skin is something both men and women deal with – especially in areas of the body we shave regularly. Nobody likes to deal with the red bumps and irritation that can come along with a bad shave. Fortunately, you can give your skin a treat and help keep it looking and feeling good after shaving with a good DIY Shaving Cream. 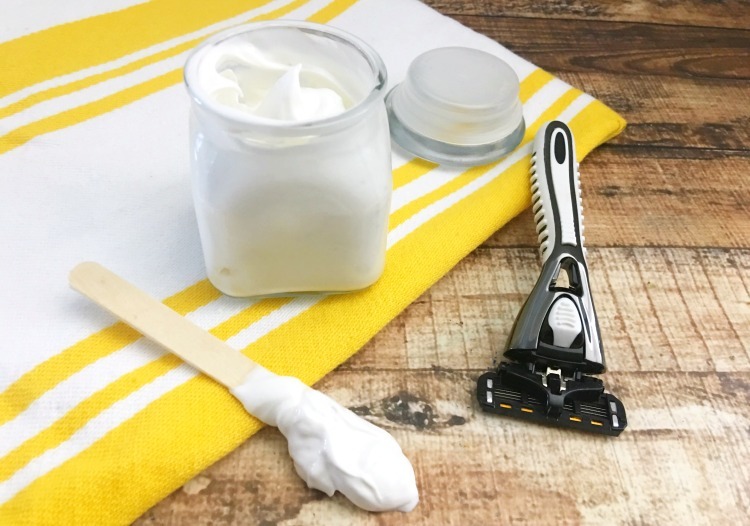 This soothing chamomile DIY shaving cream uses one of my favorite essential oils – Roman Chamomile oil. This amazing gift from the earth has a therapeutic, calming effect on the skin, mind and body. So while you’re taking care of your skin, you can also have an aromatic treat for your mind and body too. 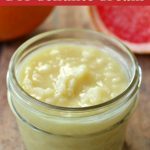 If you regularly make your own beauty products, then you probably have all of the ingredients on hand already. If not, you can order them from Amazon through the links below. 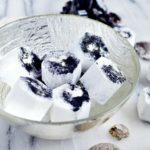 If you give this DIY shaving cream recipe a try, will you come back and let me know how it worked for you? Add your coconut oil, Shea butter and sweet almond oil to a double boiler. Melt your ingredients in the double boiler just until liquified. Transfer your melted mixture to a small mixing bowl or large measuring cup, allow to cool slightly, then mix in your Roman Chamomile essential oil. Set your mixing bowl or measuring cup in the fridge for about 30 minutes or until hardened. Remove your mixing bowl or measuring cup from the fridge and use a mixer to whip your mixture until it has a frosting like consistency. Because of the melting point of coconut oil, you will want to store in an 8 oz sealed mason jar in the fridge until you want to use. Have you ever made your own DIY shaving cream? My skin is a little sensitive. So I hope it will work for me.